In the book James Surowiecki finds that non-experts are collectively smarter than individual experts or even small groups of experts. Gathering information and making decisions is at the crux of good business. Leaving this to the few elite may be wrong wrong-headed. 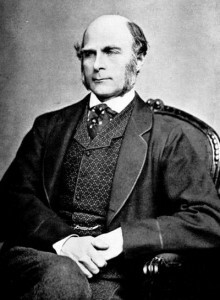 The 20th century British scientist Francis Galton believed that political power should stay within the hands of the few well-bred individuals. Hence, he devoted much of his career to measuring physical and mental qualities (e.g., sight, hearing, color sense, judgment, reaction time) of people. Francis was at a county fair one day, and came across a weight-judging competition. A fat ox was on display, and wager were placed on what the ox would weight once slaughtered and dressed. Eight hundred placed their bets. Galton was interested to find out what the “average voter” was capable of – to support his belief that the average were capable of little. After the contest, Galton borrowed the tickets from the organizers. He ran statistical tests. He calculated the mean of the group’s guesses. His assumption was that the “average guess” would be way off. The group guessed that the ox would was 1,197 pounds. It weighed 1,198 pounds. That experience began to change Francis. He wrote, “The result seems more creditable to the trustworthiness of a democratic judgment than might have been expected.” What Francis stumbled on, was that under the right circumstances, groups are remarkably intelligent, and are often smarter than the smartest people. In 1968, a U.S. submarine disappeared. No one knew where the submarine was headed and how far it had travelled. An officer gathered widely diverse people with various backgrounds (e.g., submarines, mathematics, salvaging). Instead of consulting with each other, the group competed for prizes, by placing a bet on what happened. The officer took the various locations guesses and performed statistical analysis to come up with a “consensus guess.” The sub was less than 300 yards from the consensus guess. Cognition problems: Crowds can be good at solving problems with a definite outcome. Coordination problems: Crowds can be good at coordinating their members’ movements. Cooperation problems: People who do not even know each other can work together for the common good.